I haven't purchased a MAC product in close to two years. Remember the whole Rodarte fiasco? That left a rather poor taste in my mouth and greatly curbed any desire for MAC products. However, I was rather tempted by this lovely highlight powder in Crew from the recent Hey, Sailor! Collection. Not to mention, my Marine Life seahorse highlight powder was getting lonely and wanted a friend (I will use any means to justify a purchase to myself, I kid you not). Similar to Marine Life, I'd say that this highlighter is not really meant for highlighting, but for wearing as a blush instead. I found each individual color of Crew to be very bright and pastel, and the texture to be a bit powdery. The prominent pink definitely seemed to be the most pigmented out of the three shades. However, swirled together the color becomes a punchy pink coral that makes for a pretty summer blush. 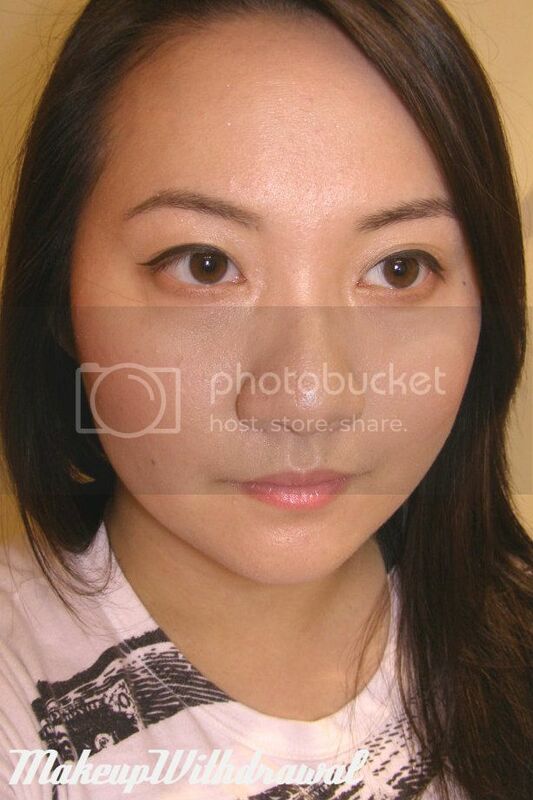 The beige part is very finely shimmery, but it looks satin when blended into the skin. I found out that the top creamy beige is overspray, but it is deeper than the gold on Marine Life. I scratched the edge of the beige with a toothpick and found that it is at least 1 mm thick, but I didn't want to dig any deeper. I think it is rather odd that eventually, this highlighter will be much darker and brighter once I've used up the soft shimmery beige. 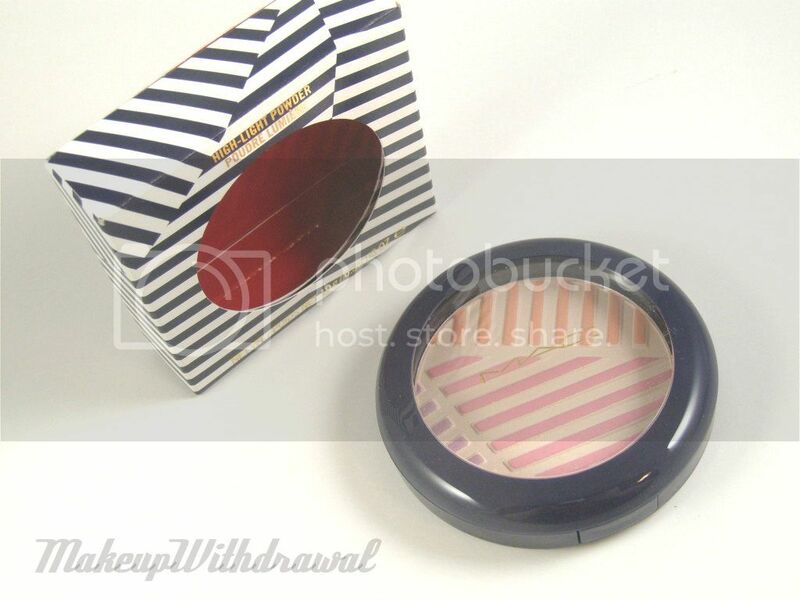 I like the packaging- I'm a sucker for nautical and beach themed makeup. I'm also pleased aesthetically by the striped design. 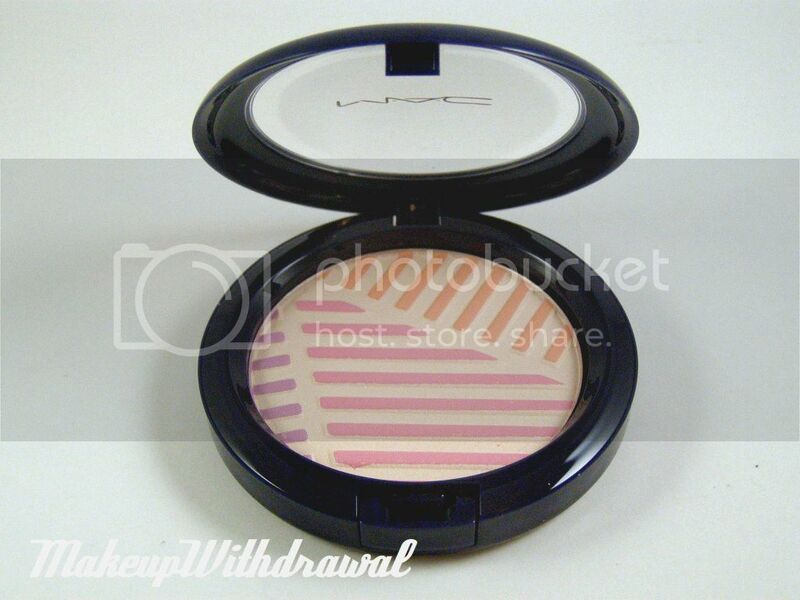 Most of all, I'm happy that this product's texture is much better than any other MAC powder product I've tried- it's soft and fine, making all the other MAC shadows and blushes I own seem hard in comparison. Face: MAC Crew Highlight Powder, MUFE HD mixed with Giorgio Armani Luminous Silk, Guerlain Meteorites (Emilio Pucci edition). Lips: Dior Addict High Shine #566. 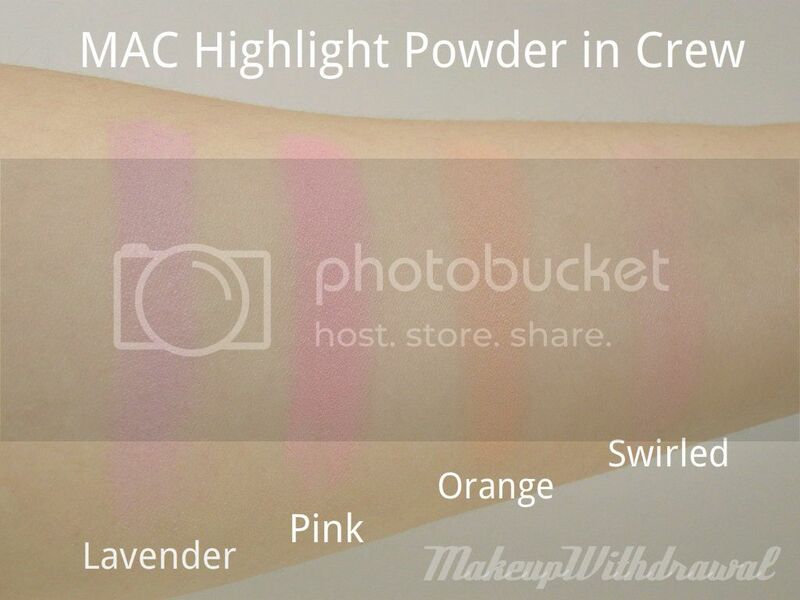 MAC Highlight Powder in Crew was $29. Unfortunately, it is limited edition and does seem to be sold out online. I'd definitely call your closest counter and see if they have any left in stock. What do you think of this "highlighter"? 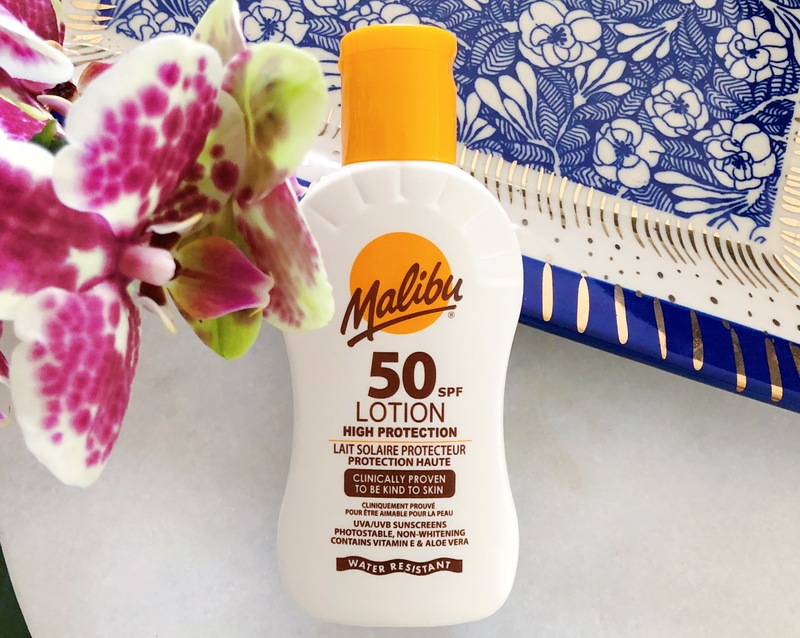 Do you have anything that has similar shades?